On Oct. 26, Environment Ohio and our national network showed the Trump administration that 350,000 Americans think so. 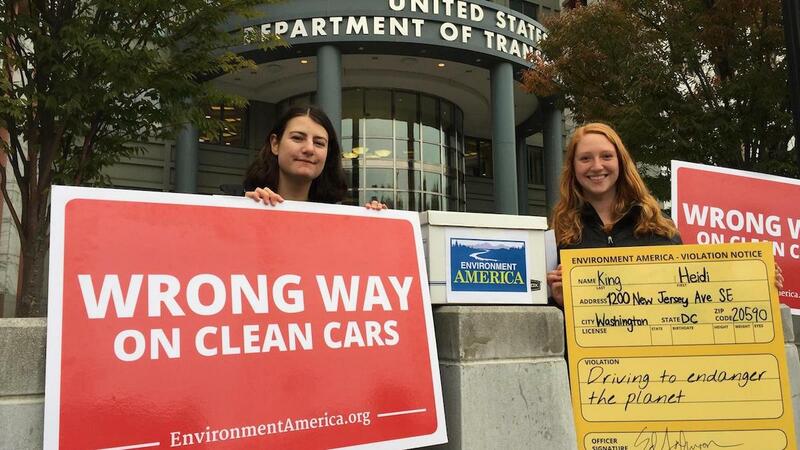 Together with our coalition partners, we delivered that many public comments to the Environmental Protection Agency and the National Highway Safety Transportation Administration opposing plans to roll back federal Clean Cars Standards. Transportation is already our No. 1 source of climate-altering pollution. By freezing the standards at 2020 levels, the plan would lock in more dirty air and global warming pollution.